As I emerge from the cave of medical challenges into the light of health, I have to say everything looks so vivid! Autumn leaves...ooooo. The cup of coffee I'm sipping....ahhhhhh. Not much seems to escape my sense of wonder and awe of being alive, well, clear minded, and not injured. I'm especially grateful to be able to write again without pain. After fracturing my dominant arm, I thought I was going to burst at the seams if I didn't write as soon as possible. Life's challenges are a major source of inspiration for putting words to paper or screen. It is one tool I use to heal hearts: both mine and others. In other words, I need to write, and especially now that I'm well and noticing so much more...and not just the pretty and good stuff. Nope. When I say everything is so vivid, I mean every thing--every noticing, every news story, every aching heart I come upon. And so I journal. Or I write haiku and post on Facebook. Or I write to a pal who I sense could use a note from me. Lately, I've also been writing a personal story--I call it a soul story--of being a seer of auras and what its like to be surrounded by so much, hmm, vividness (again!). It's been cathartic and enlightening for me--even though I know my story, it's quite something to review all it takes to be me. Eventually, I will share this story in a book or posts on a blog, because I know there are others out there who are just as or even more sensitive than I am. And maybe what I've learned on the journey will help them on theirs. In the meantime, I have been obsessing a bit about what it's like to be in the bodies of other sensitive souls--including you, fellow sensitive. As an empath or a healer or a clairvoyant/clairsentient/clairaudient/earth angel, how is life going for you? In this ever challenging world, how do you cope with those sensitivities? And how do you share the gifts that come from those sensitivities? 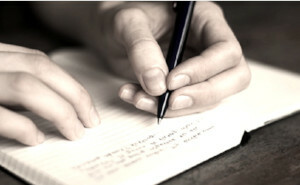 I invite you to write down your own stories of being who you are: You might learn something about you! I also invite you to a class this Sunday ( I have a few open spots) in my LaConner office. Details below. I also intend to offer an online version this winter. Thank you for being a part of my vivid life. It's time for you to understand who you are. We all came to the earth with a purpose. We all have our contributions to make. Join other like-minded souls in a workshop dedicated to telling the story of why you are here, and what you have to offer this planet of choice. The day will focus on some of the many roles our souls take on. For instance, are you an intuitive soul? An empath? A healer? A teacher? An earth steward? Let's explore your purpose and story with wildly freeing writing experiences and meditative journeying. No writing experience needed, and all you'll need is paper and pen.